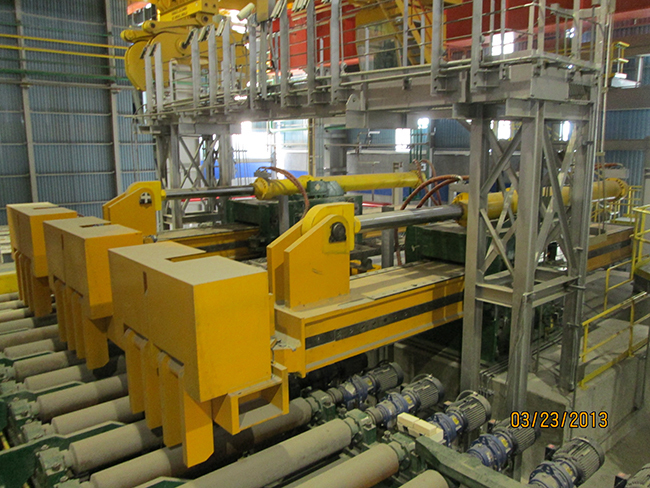 SES is a leading designer and manufacturer of specialty mill equipment for both flat and long products worldwide. 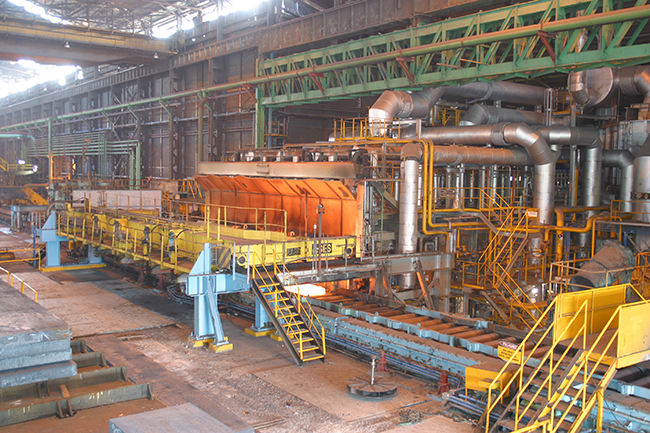 We pride ourselves not only on the innovative technical expertise of our employees, but on the exceptional people-driven service they provide. 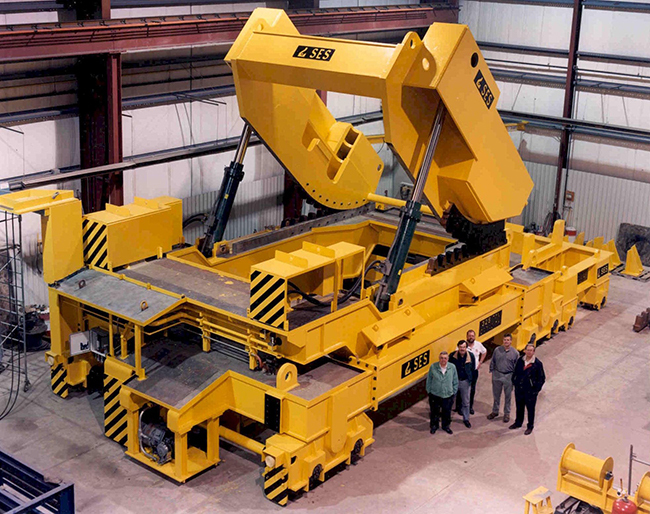 Since 1976, we have used that technical expertise to design and manufacture specialty equipment. 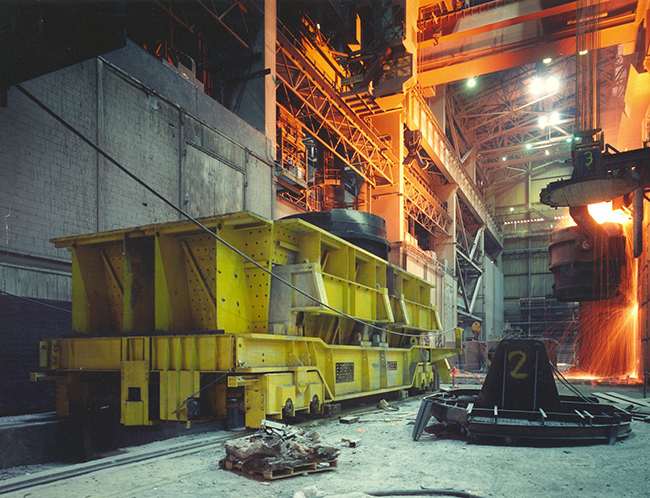 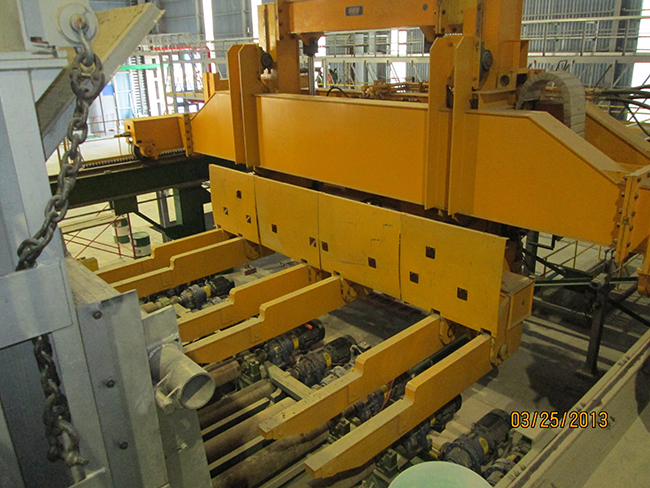 Our product range includes: Transfer Cars and Transporters, Melt Shop Equipment, Slab Handling Equipment, Coil Handling Equipment, Process Line Equipment, Long Product Handling Equipment, Pipe and Tube Equipment, Structural Shape Handling Equipment, Specialty Custom Equipment and Redesign and Rebuild of existing equipment. 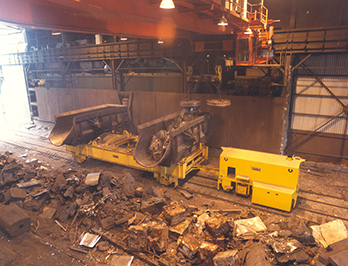 SES supplies a variety of scrap handling and transporting systems, including: Scrap Grapples, Transfer Cars, Weigh Systems, Conveyors, Scrap Buckets and Bales. 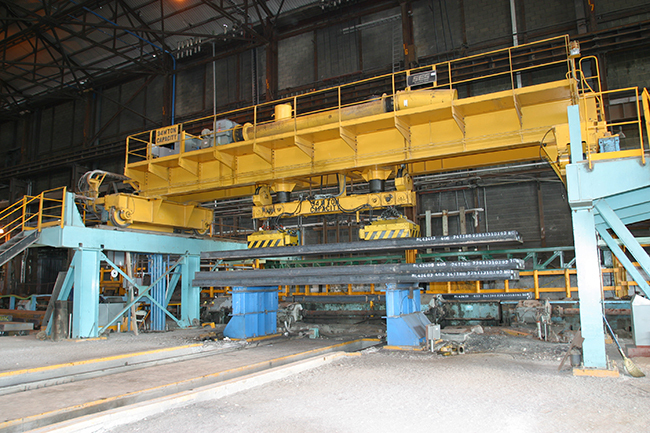 SES offers a multi-dimensional product line of Hot Metal and Ladle Handling Systems. 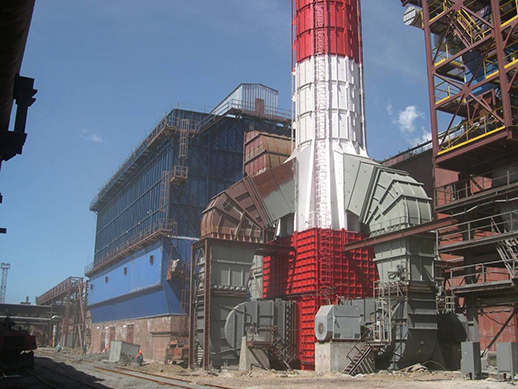 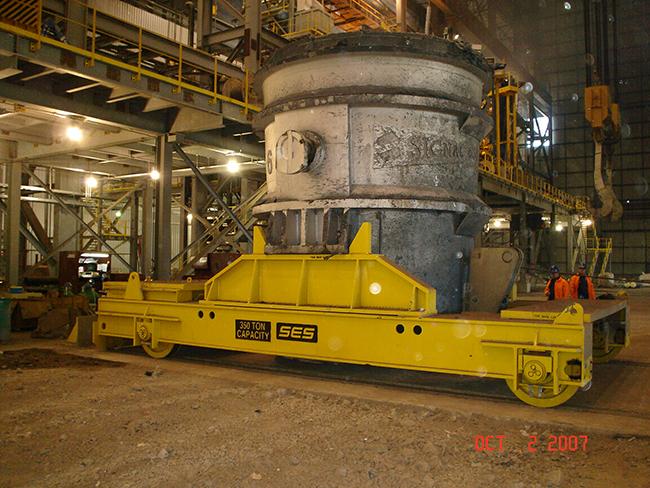 SES is a leading supplier for Specialty and Melt Shop Transfer Cars and heavy capacity-related equipment for steel mill applications, as well as for an array of industires including: aerospace, power, copper and brass, fiberglass, mining, and shipyards. 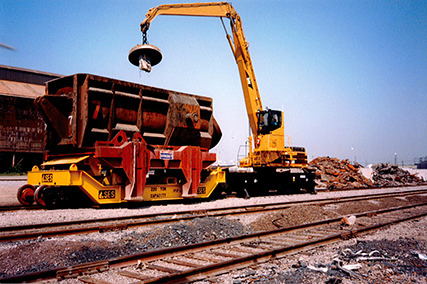 Our production list includes standard and custom-designed ladle transfer cars, tundish transfer cars, bottom pouring cars, coke transfer/door machines cars, low-profile generator transfer cars, coil transfer cars and more. 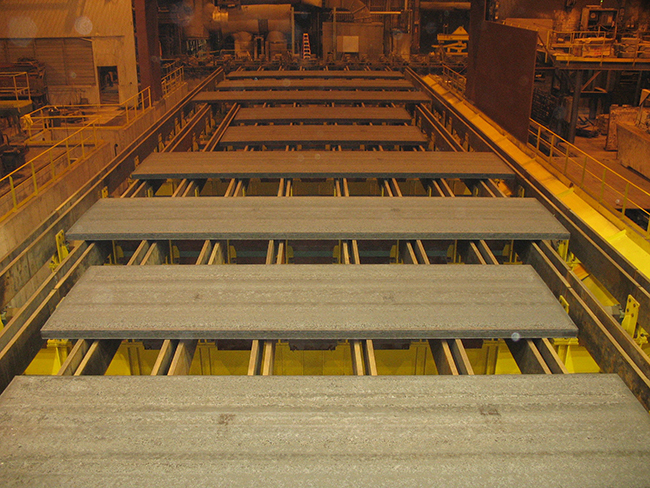 Rated capacities range from 5 ton to 500 tons, and speeds from 20 fpm to 1,200 fpm. 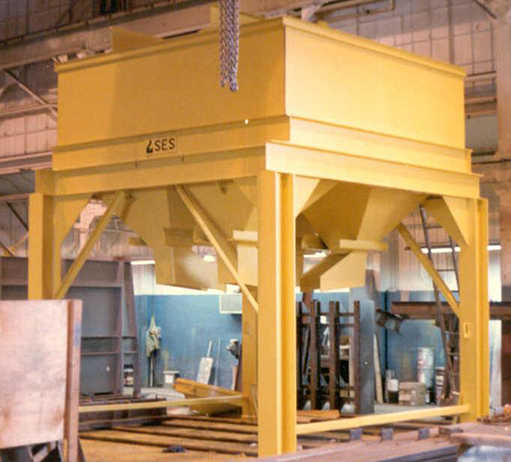 SES also designs and builds various casting, pouring, and metallurgy stations and turrets, along with all other associated melt shop material handling equipment. 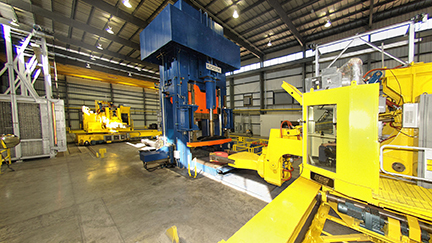 In addition, we're the leading expert on Hertz Stress-related applications. 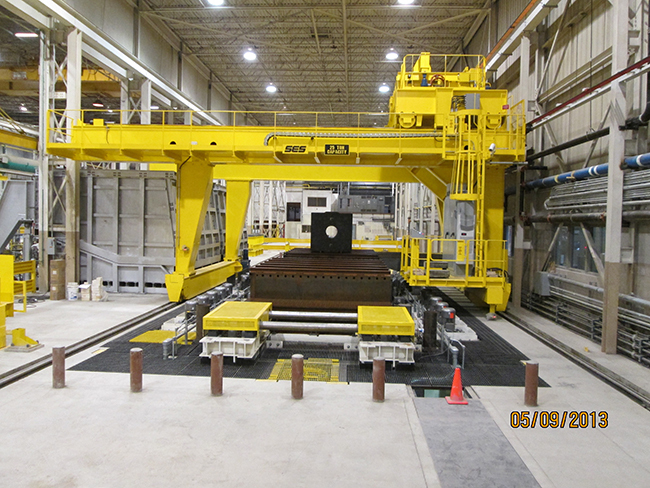 SES designs and manufactures custom RH-OB and LMF Transfer Systems, including: Vessel Exchange Cars, Ladle Lift Stations, and Ladle Transfer Cars, Weigh Bins, and Transfer Cars. 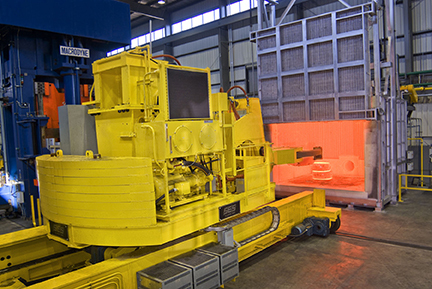 SES designs and manufactures custom Alloy Additive Systems to meet your melt shop needs. 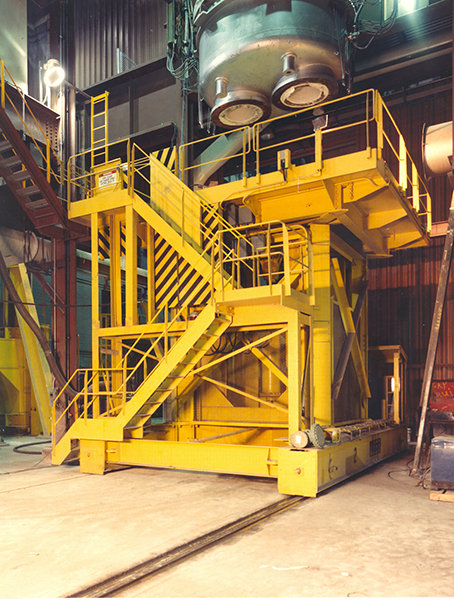 These Alloy Additive Systems include: Vibratory Hoppers, Conveyors, Weigh Bins, and Transfer Cars. 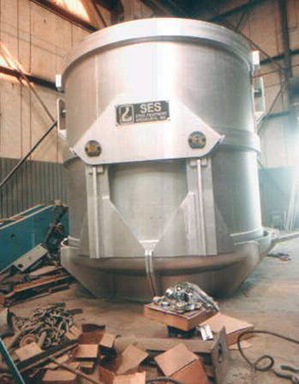 SES is a leading designer and manufacturer of all types of Transfer Cars and Transporters. 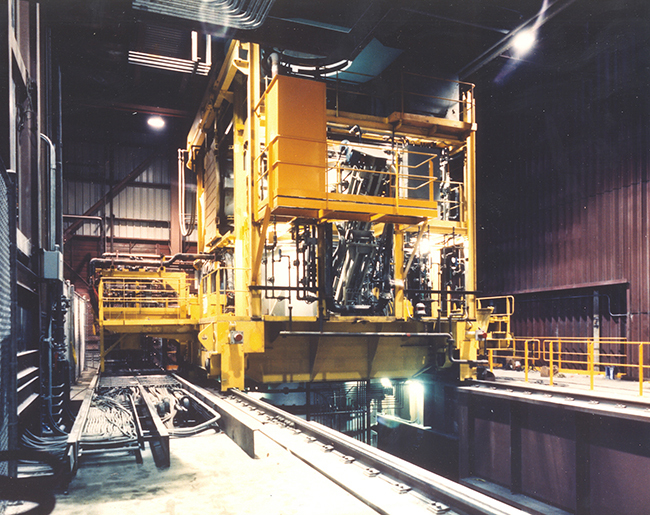 SES’ technical expertise, combined with our automation capabilities, provide the perfect package needed to supply Baghouse upgrades and systems. 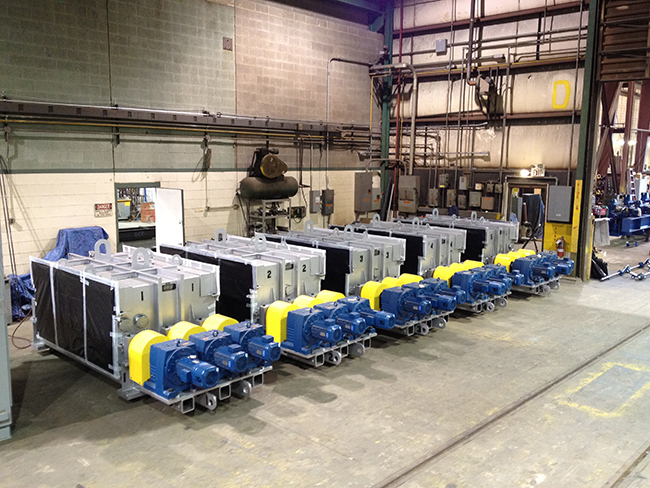 Our capabilities include: new fans, new switchgear, new conveyors, new PLC, new MCC, new lighting, and installation engineering. 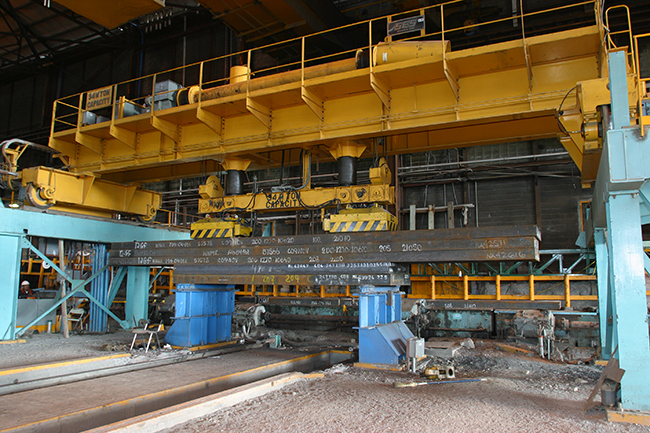 SES is a leading designer and manufacturer of Slab Handling Systems. 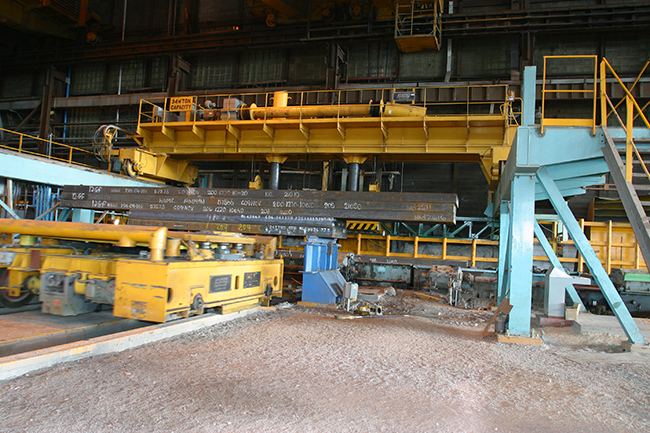 These systems include, Furnace Charging and Extracting Machines, as well as associated slab roll tables, pushers, and material handling equipment. 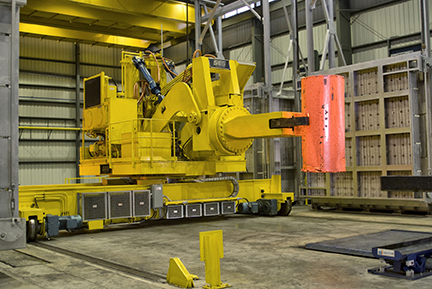 Our technical expertise includes: deep slab charging, extracting with major elevation changes, floor-mounted machines, six-axis manipulators, or overhead design, and our solutions are all custom-designed to meet customers’ specific needs. 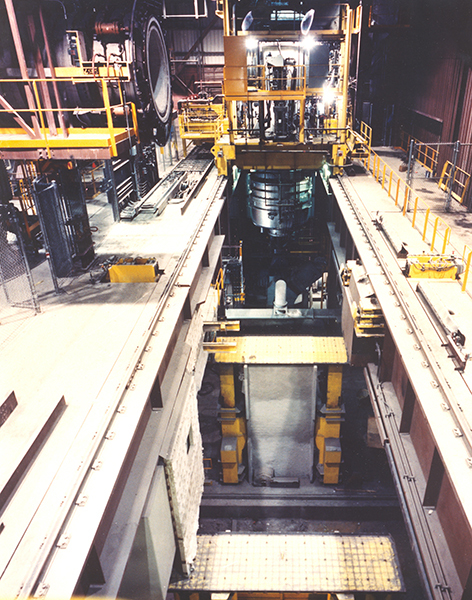 SES uses its superior technical expertise to design and manufacture state-of-the-art Furnace Manipulator Systems for all facets of the metals industry. 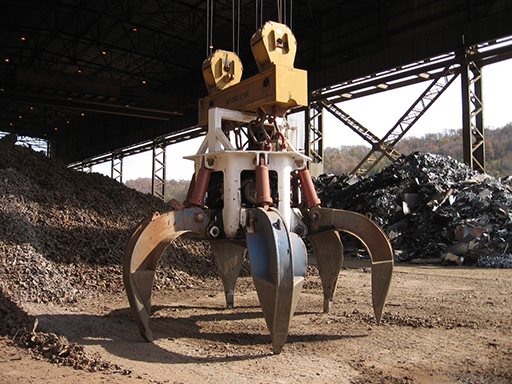 A variety of these manipulators have six-axis manipulation, both automated and semi-automated. 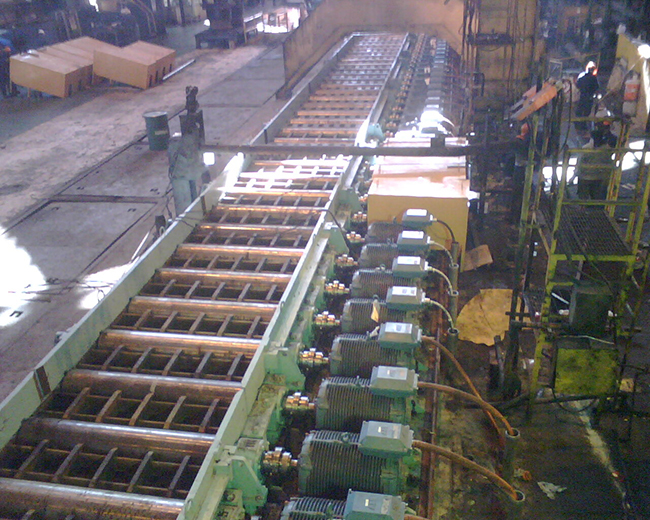 SES has extensive experience in all types of Roll Conveyor Systems, including individually driven assemblies, direct drive assemblies, and multiple gang drive applications for both hot and cold product. 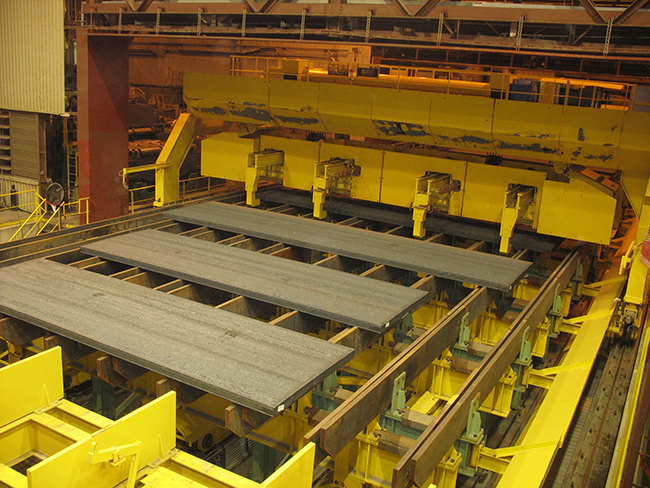 SES’ DeStacking and Stacking capabilities include bay-to-bay slab handling and storage and fixed and traveling depilers, all designed to increase capacity of the customer's hot mill, while minimizing downtime and cost. 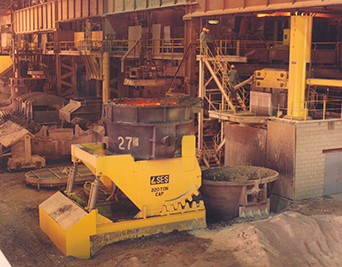 SES uses its superior technical expertise to design and manufacture state-of-the-art Charging and Extracting Systems for all facets of the metals industry. 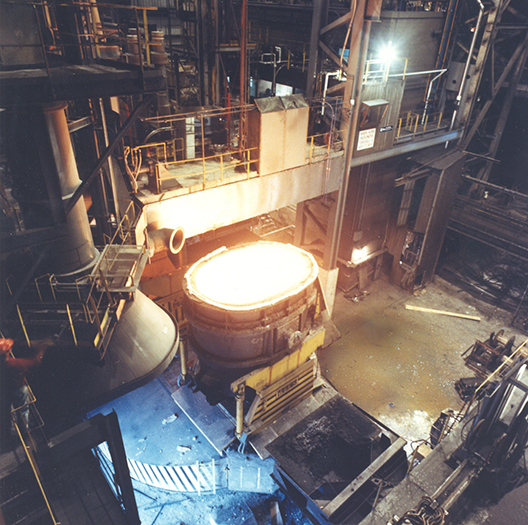 A variety of these Chargers and Extractors accommodate major elevation changes between top-of-roll and top-of-furnace hearth, including single, dual or triple charges. 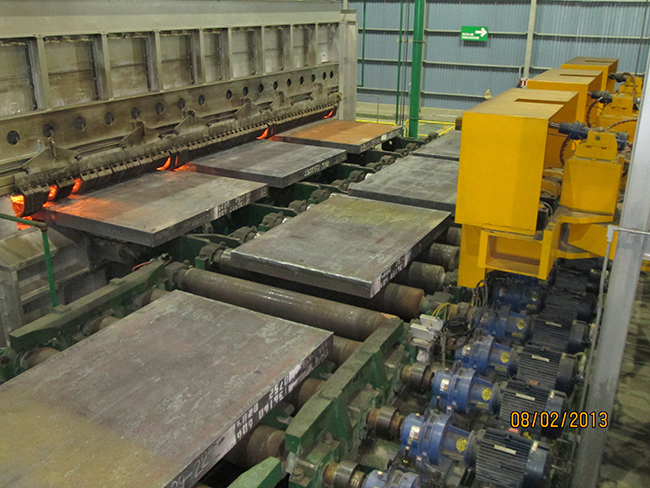 SES is a leader in design and manufacture of specialty Cooling Beds for slab and plate facilities. 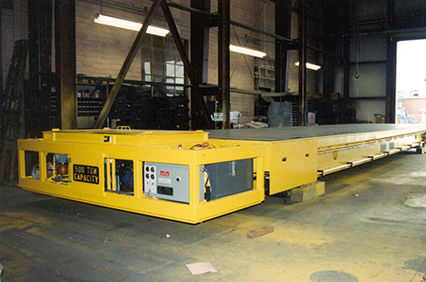 These Cooling Beds are designed to meet your specific needs, ranging from dual charge and oscillating roller beds, to fixed rake walking beam style, and include all auxiliary equipment.